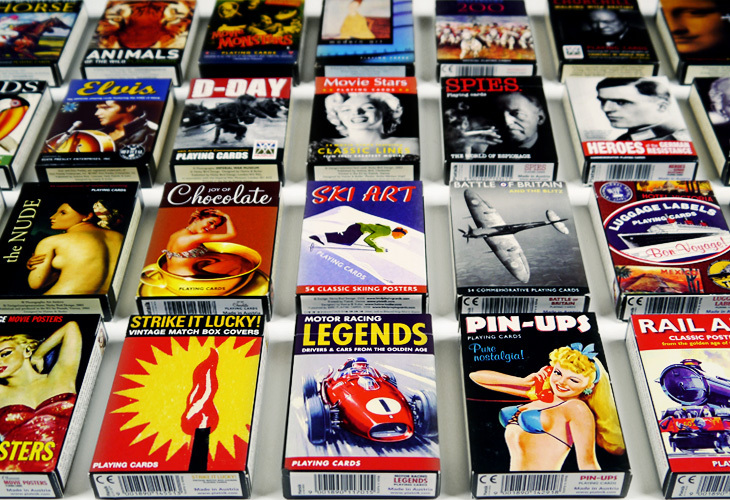 Packaging designs for games and packs of themed playing cards, some of which are designed for specific organisations. They are distributed throughout Europe and America and are sold in museums, galleries and through various major retailers. Time and time and time again... Haime & Butler surprise me with their innovative and creative design solutions. 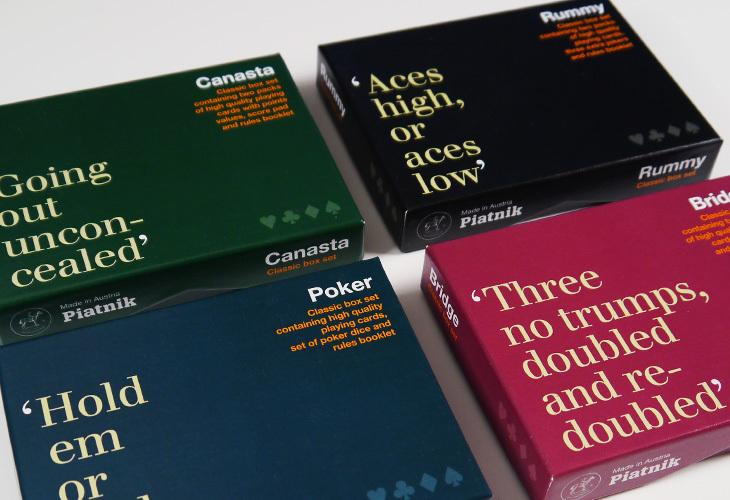 Whether focusing on the nature of a game or the theme of a pack of playing cards, the packaging must be designed in a visually arresting way and have shelf-presence that stands out from the competition. 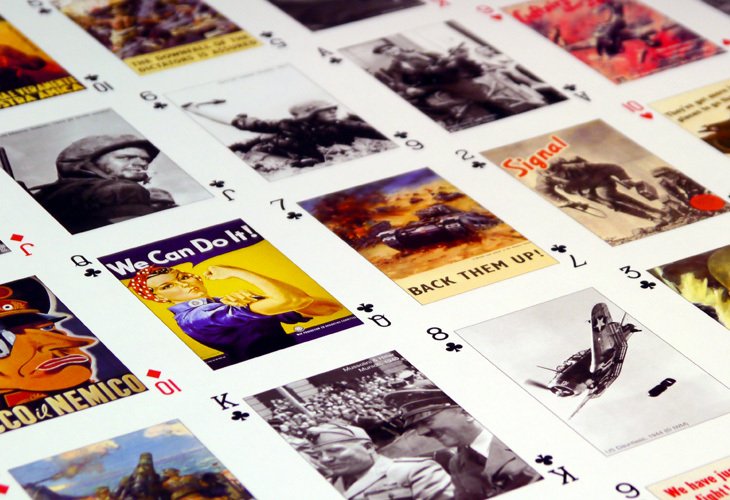 Over 100 packs of themed playing cards, all individually designed, some now collectors’ items. Carefully selected images for each and every card. Cards featuring matchbox designs from around the world. All packs of themed playing cards are available for purchase through the website: www.birdplayingcards.com. Many of the packs of themed cards are designed and produced for particular museums and organisations. 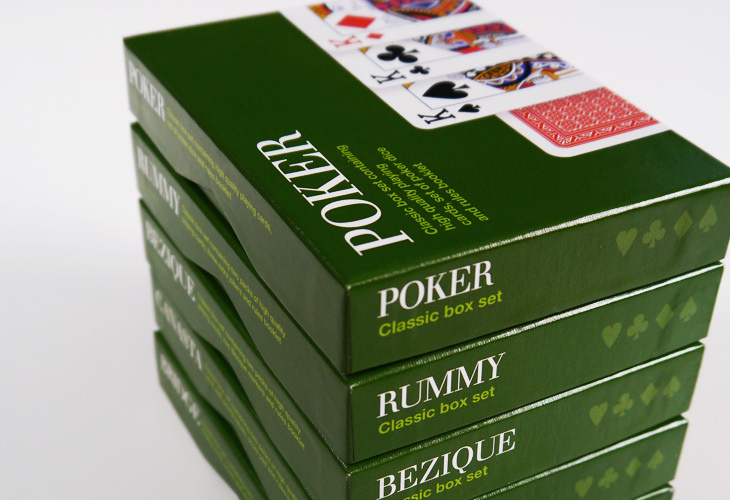 A co-ordinated range of classic games for the discerning card player. Packs featuring unique expressions from each particular card game. A fun design aimed at children. Pack of themed playing cards celebrating poster designs for London Transport that date back to the 1920s. Each card features a different poster, with subjects ranging from sporting events to tourist attractions. The collection is a tribute to Frank Pick, the main inspiration behind London Underground's corporate identity and brand. Pick established the style and look of the posters by commissioning artists as diverse as McKnight Kauffer, Paul Nash, Graham Sutherland and Man Ray. Their brief was to produce eye-cathing designs which would capture the imagination, and make people travel. They did just that.